The day to day running of the school is constitutionally delegated to the School Committee which in turn is ultimately responsible to the Community through the Foundation. The School Committee comprises of representatives of family groups and the Principal acts as Secretary for the School Committee. Strelley Community School is situated in the Pilbara region of Western Australia. There have been three annexes that comprise Strelley Community School in the past. 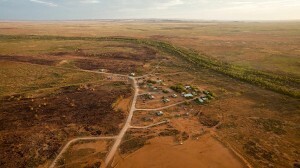 Strelley, which is located 60km east of Port Hedland. Woodstock, 200kms south of Port Hedland. Warralong is 160kms south-east of Port Hedland, between the Shaw and DeGrey Rivers, and is currently the administrative centre of the school. All campuses have telephone communication. Woodstock closed in 2006. Strelley Community was badly damaged by Cyclone George in March 2007 and the families moved to Warralong. It is expected that Strelley will reopen in 2009. The Community was fully involved in the setting up of the school in 1976 and continues at the legal and practical level to be involved in the operation of the school. The Nomads Charitable and Educational Foundation is the school authority as requested by the Community. The executive members of the Foundation are responsible to the Community for articulating school policy and ensuring its effective implementation. The non-Aboriginal staff are employees of this organisation. 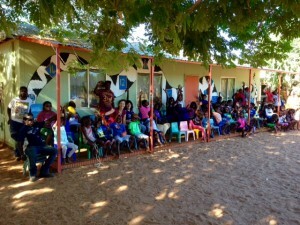 Students in the school are ESL/D learners, drawn from a language background that is predominantly Nyangumarta, with Warnman, Yindjibamdi, Kariyara and Manyjiljarra spoken by some members of the Community. The school values and promotes the cultural heritage of its students. Nyangumarta is the target language of the school’s LOTE program and an extensive collection of Nyangumarta resources has been created and developed over the years by community members, Language Specialists and Linquists for the teaching of Nyangumarta. The school’s curriculum employs learning, teaching and assessment programs that provide each student with opportunities to demonstrate the learning outcomes identified in the Australian Curriculum and the Western Australian Curriculum Frameworks. The delivery of the school curriculum endeavours to be rich and varied, and to provide the students with a learning environment that is supportive, stimulating and encourages student participation, growth and development. A high emphasis has been placed on the attainment of literacy and numeracy skills for all year levels. An important component in teaching literacy skills is the school’s commitment to the National Accelerated Literacy Program and to the employment of technology. There are approximately 70 students in the school ranging from pre-school to high school aged children.